Admit it. We’re all in the same boat. When it comes to the video content we create, we’re all digital pack rats. So much work goes into producing a good video, it seems wasteful to throw it away. You just never know when that presentation or clip may come in handy down the line. Eventually—even with video—you can get too much of a good thing. After all, closets never are quite as useful when you fill them up with too much stuff. So imagine the plight of corporate videographers who try their best to keep their libraries of business video content nice and tidy. It seems so easy at first. Get a nice new hard drive, store the CEO videos in one folder, place the training videos into another folder, and you set aside the marketing video clips in yet another folder. It’s a nice little home-made filing system that can get trashed in a matter of months when employees actually start watching some of the videos you create that are posted online. The good thing—and trouble— with corporate streaming video is its viral nature of adoption. Executives who see video presentations at work invariably figure out ways to use video to get their own messages out. Bam. Overnight, you got yourself some serious digital sprawl. As libraries of video swell, the software applications needed to maximize the value of these video libraries grows, in step. Once upon a time, content tracking was pretty simple. Keep tabs on how many people watch a video and, maybe, collect some registration information. Not much more was needed. But as more and more video enters day-to-day business, the demands on content management solutions continue to grow. Sophisticated users today can look for solutions that simplify the integration of social media to promote video content, keep more detailed records on viewership patterns, and even track how viewership impacts corporate sales performance. Along the way, other companies invariably will look to management solutions to handle mobile distribution of video, assign content to thematic portals automatically and/or make it possible for employees to upload their own videos for distribution on the corporate network. Essentially, as video sprawls, content management solutions have to become a “Swiss Army Knife” capable of handling a wide array of applications for online video. 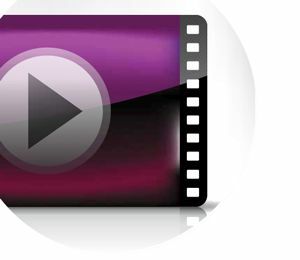 In such an environment, it’s not realistic to keep tabs of video content on a manual basis. Why throw employee hours into a video management effort that can be handled more efficiently with quality software? And it doesn’t pay to just shut your eyes to the problem and expect the video management problem to just fade away over time. Indeed, it’s important to keep in mind that the business online video market is not slowing down. Rather, adoption of video is accelerating in the enterprise. Experience tells us that this continuing video sprawl will lead to the development of even more features that help manage video—and maximize the value of video used in business communications. So how does one prepare for his or her own business video tsunami? The best idea is to simply keep your options open. That means investing in video creation solutions that can be integrated into a wide range of content management software solutions. This is the equivalent of insuring against the changes likely to emerge in today’s on-going evolution of business video communications. If you retain the flexibility to embrace a range of content management options, you will have the capability to switch at a moment’s notice to the video content solutions that address your most pressing video deployment issues down the line. Without baking this flexibility into your content creation approach, you may be locking yourself into solutions today that will not be able to address your needs down the line. But that doesn’t mean you should totally ignore taking the content management plunge today. If your company can afford to invest in advanced video management technologies today, the deployment of these software platforms can pay big dividends now and down the line. Getting started now opens the door to more effective applications that get the right piece of video to the right employees at the right time. In addition, solid management of online video archives today begins building a library of content that can help preserve your organization’s institutional knowledge over the long haul. Steven Vonder Haar is a Senior Analyst with Wainhouse Research and can be reached at svonder@wainhouse.com.